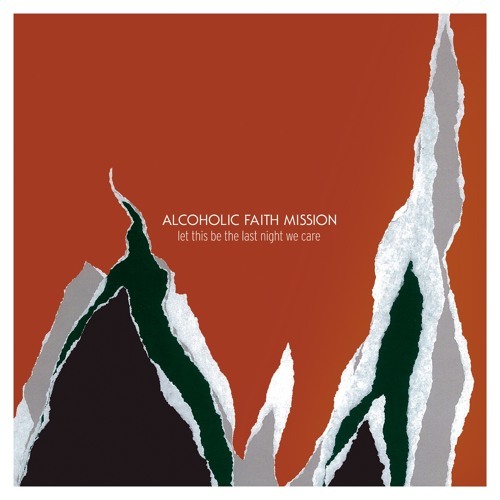 Follow the band on Twitter @_aFm_ Alcoholic Faith Mission started in Brooklyn, NY in 2006. The apprentices of dejection, Thorben Seierø Jensen and Sune Sølund, were wandering around in the raw wintery-streets, shooting the breeze and brushing on alcoholism when suddenly before them was big neon cross. This was a holy congregation called Apostolic Faith Mission. “It’s just like booze is to the alcoholic, they thought. A true mission to withstand an empty existence; an Alcoholic Faith Mission. Three months later the duo’s underplayed and dogmatic debut, Misery Loves Company, was ready. Dogma’s for the album, which was recorded in a small bedroom in Copenhagen, was that recordings had to take place at night, lit by only candles and always under the influence of alcohol. Two years later they went back to Brooklyn to seclude themselves in an old factory loft at 421 Wythe Avenue and came up with an alternative active creation process for the new album – perhaps one that was a bit easier on the liver. They tried on a selection of straightjackets for inspiration. Everything used to make the music had to be found within the loft’s four walls – creating some obscure, yet fitting sounds such as that of dictionaries beating each other to become an electronically muted bass drum. This way of working turned into their second album; named after the street where they lived on – 421 Wythe Avenue. wow that was so chill. feelin this! love the vocals in this too. @papergardenrecords: I really like this.. There is a great deal going on that fillls my ears with pleasure.